Beautiful review, JR; absolutely spot-on! Dawn, Lauren, Hannah and I saw the film Friday and it absolutely caught me off guard. I was mentally and emotionally unprepared for it, expecting a "lite fare family comedy" and received, instead, a heapin' helpin' of the poignant "Toy Story (Jessie)" and "Up" variety. Lauren and I returned to see it again this evening, prepared. It is so doleful, so melancholy, and eventually so hopeful. I totally agree; there are some nits, to be sure, but it so accurately and effectively and fully captures the transitions and the profound and often glossed over importance and reality of loss and lamentation and perspective. I found it interesting that different emotions 'man' different people's control panels, for example, Sadness is at the mother's helm. At one point in the film, a twenty-something woman to our left burst into tears, convulsing with emotions provoked by the film. 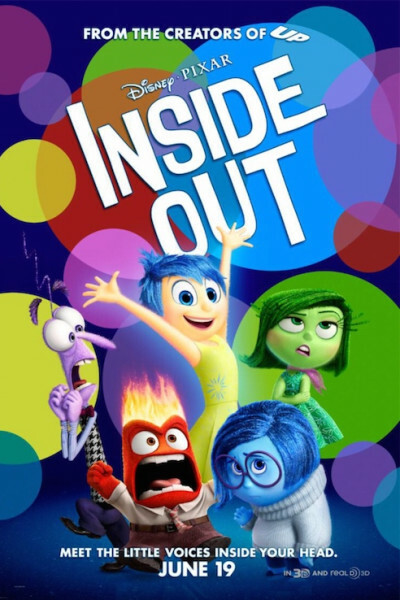 "Inside Out" really plucks and strums those emotional strings, doesn't it? Transitions...so well portrayed. A good movie and, I suspect, a great conversation starter and educational tool for some. Upward and onward!